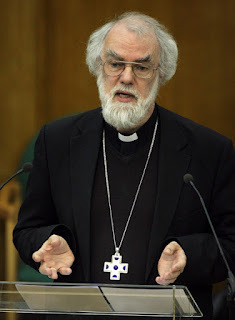 By chance and good fortune, I happened upon this talk by Rowan Williams and Ben Quash which happened just recently at St Martin-in-the-Fields. It couldn’t have been by chance actually because it was so much the message which resonates in my own heart but which I couldn’t have found the words to formulate in the way that Archbishop Rowan and Revd Professor Ben Quash did and which that Church of the ever open door allows. It is about how we should encounter that which we think is other than ourselves, other races, other sexes, other colours and of course, other religions without relinquishing our own identity. Such a great question and they answer so well. Perhaps this was the answer to my prayer to the Absolute, it expresses a way to find the space which is without colour, race or religion, without prejudice or partiality, outside our everyday world and to find the way to ease the constrictions which can be felt when differences bind and don’t celebrate otherness.